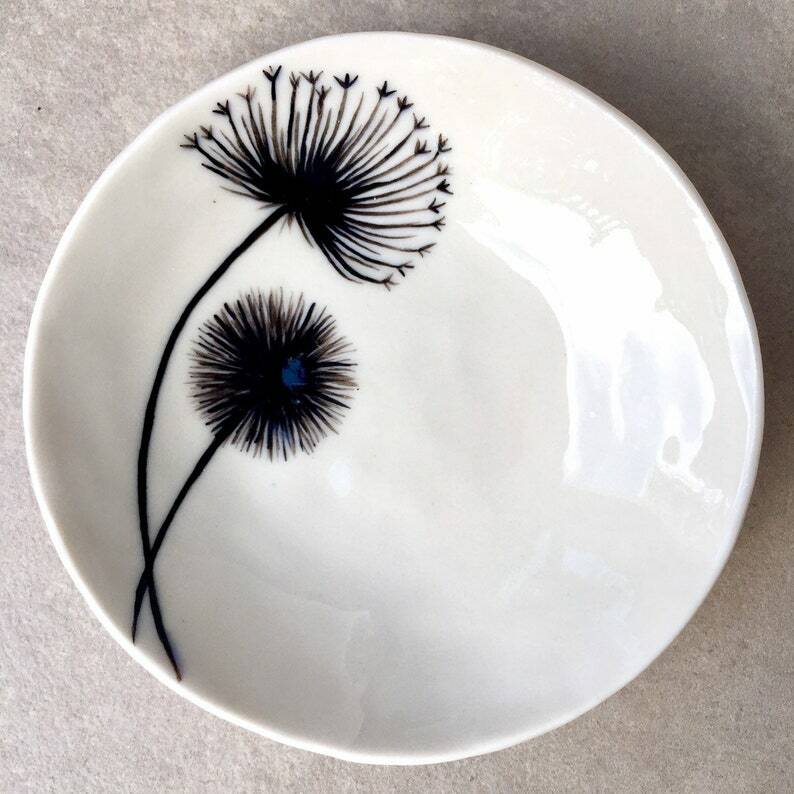 This gorgeous black and white plate was lovingly hand-formed by me from fine lumina porcelain clay. 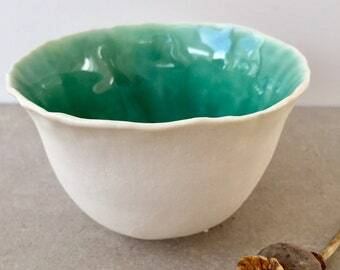 It is hand painted with my unique dandelion design, then covered in a clear glossy stoneware glaze inside. 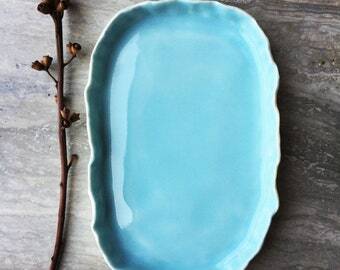 Use this plate for food items (porcelain and glazes are lead free and food safe), or simply as a decorative art object. 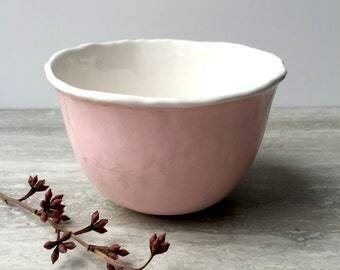 Plate measures approximately 14cm across at the widest point and 3cm deep.